Big Game Parks is a truly unique private organization, passionately built by the true dedication of phenomenal people under the leadership and extraordinary vision of Ted Reilly. Big Game Parks has paved the way, playing a vital national role in conservation and constantly pioneering new eco-tourism products as the leading eco-tourism destination in the kingdom. The title Big Game Parks is a marketing title. It has nothing to do with the importance of larger species over smaller species. All creatures - great and small - are important, as are the habitats that support them. Bemvelo and ka Msholo are names synonymous with Big Game Parks. Bemvelo simply means "the people of our natural heritage”. Msholo is the name given to Ted Reilly by the Bushveld Swazis in the 1960's and through association, all protected areas became nationally known as ka Msholo (of Msholo). Big Game Parks is the delegated authority on the Game Act and CITES and operates a highly effective anti-poaching unit, all directly answerable to the King's Office. Big Game Parks is self-sustaining without financial subsidy from Government. We subscribe to the philosophy of sustainable use of natural resources - conservation rather than preservation. We prefer to place and translocate animals alive to expand the kingdom's wildlife estate, but what cannot be placed alive, we harvest. We pride ourselves in having achieved economic viability through gate, accommodation and trading receipts, which includes the sale of wild animals. We do this without compromising the Conservation ethic, simultaneously contributing to the kingdom in meaningful ways. We provide a substantial number of jobs and by necessity, we practice the strictest discipline in order to be self-sustaining. We pride ourselves in offering value for money and being affordable to our local populace, providing an opportunity of participation in nature. Over 50% of our visitation is by local Swazis, which for a private conservation organization is almost unheard of. Many Cabinet Ministers, and others who hold positions of power and influence today, saw their first impala at Hlane or Mlilwane when they visited us on an organized school group. We are very proud to continue to provide the opportunity and privilege to engage with nature and we will persist for future generations. The three Parks and Reserves under Big Game Parks/ Bemvelo/ ka Msholo are all privately owned, but each is proclaimed and gazetted in law for perpetuity under conservation. They carry the highest levels of legal protection available in Swaziland. Their land use is therefore predetermined by law and they may not be used for purposes other than those laid down by the Act, which confines their usage to Nature Conservation and related purposes. We invite you to visit, support and enjoy our Parks and their clean and healthy environments - and you simultaneously contribute to the conservation of species and the growth of Swaziland and our people. Without Royal support, beginning with King Sobhuza II and strongly upheld by His Majesty King Mswati III, there would be no game and no game reserves in Swaziland and our tourism industry would be accordingly impoverished. The historical conservation record of Swaziland and the realities on the ground, show it is no secret why, and by whose efforts, this Kingdom still has a wildlife estate at all. If it were not for the King's personal and material commitments to Nature conservation and to tourism, Swaziland would have little, if anything, to show for it and many tourists would simply pass us by. Parks are a tourism major attraction in any African country, bringing the well-known multiplier benefits of tourism. However, in recognising this reality, sight should never be lost of the purpose for which Swaziland's Parks were conceived in the first place - which was to provide Sanctuary for the Kingdom's restored wildlife heritage. The strong Royal support also provides our dedicated rangers the necessary encouragement and determination to safeguard Swaziland's wildlife heritage against unspeakable odds. And this is precisely what Big Game Parks does. Our King, His Majesty Mswati III, was decorated by His Royal Highness Prince Bernhard of the Netherlands with the GOLDEN ARK - one of the most prestigious International Conservation awards - for standing by his rangers in times of trouble and for His role in saving His Kingdom's wildlife for posterity. In 2015, His Majesty received an award for his support of conservation judiciary by the Game Rangers Association of South Africa. During our 50+ year history, Big Game Parks as a collection of the three parks has pioneered many initiatives in Swaziland. Initiated the National Environmental Education Programme, radio campaigns and environmental literacy in order to develop a national conservation ethos. This programme then moved across to SNTC in the late 1980’s. Big Game Parks still hosts more than 13000 school children in any given year, many from rural communities. We have incorporated educational radio and media programmes in response to a growing need and appetite for it. 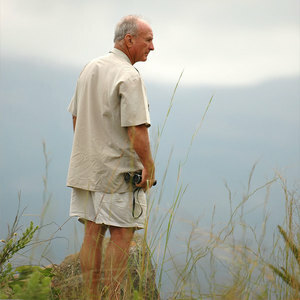 Ted Reilly is the visionary and founder of formal conservation in Swaziland. A pragmatic man driven by love for the bush, Reilly ignored popularity, oftentimes being controversial, and he focused on his dream – to create a park system for Swaziland, at huge personal risk and financial impact. At just 21 years of age, Reilly turned the tide for wildlife in Swaziland, working with conservation agencies across southern Africa to re-establish populations of any animal that had been lost to our kingdom. Reilly donated his inheritance to his cause. This caught the attention of the Swazi Monarchy, leading to his appointment as the Royal Adviser on wildlife. 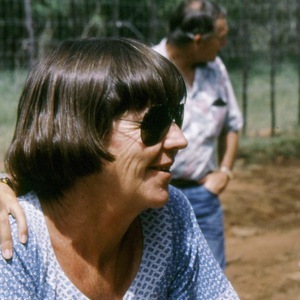 Since then Reilly and his wife Liz conceived and initiated the Government parks system (SNTC), pioneered the National Environmental Education Programme, saved the Nguni cattle from extinction and eventually founded Big Game Parks Trust in the 90's. Reilly's siSwati name ‘Msholo' means a person without fixed abode, and refers to Ted Reilly's sudden, unexpected and unwanted appearances in remote hostile places deep in the bush where he and his men, emerging as if from nowhere, surprised poachers to interrupt their unlawful activities. ‘Ba ka Msholo' is the name given to our men in green — the game rangers of the Kingdom of Swaziland. Reilly is also known as Machobane, a name he inherited from his father, Mickey Reilly senior. 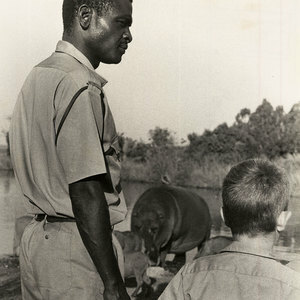 Reilly was Swaziland's first Game Ranger gazetted under the Game Act in 1965. He has been both locally and internationally decorated for his conservation work. A woman of immense courage, passion and intelligence, Liz aligned with Ted’s dream, bringing with her the business acumen and eye for quality to enable the growth of conservation and tourism. A notorious risk taker, Liz believes the sky is not the limit and there is always a means. Dedicating her life to the parks and Swazi Conservation from a young age, Liz worked day and night performing miracles. An unusual mix, Liz also brought with her an incredible compassion for the Swazi people, believing in developing home base. Liz can easily be considered the mother of Swazi conservation. Petros Ngomane is a rare human being, having joined the parks before Mlilwane was officially opened and retiring only when he could no longer physically continue. Ngomane survived two life assassination attempts in the line of duty. The first was when arresting a poacher in the early '60's, the poacher overcame him, stabbing him in the chest and neck, handcuffing his hands behind his back and attempting to shoot him with his own rifle, then leaving him for dead. Petros survived 24 hrs before being found, then was expected to succumb to his injuries. When he fought through, doctors thought he would never walk again thanks to the knife nicking his spinal cord. However, this man of steel-will stood, and ably led our Ranger force with impeccable integrity for over 30 years. The second attempt was a petrol bomb thrown into his room during the dead of night, in response to his infiltration of a rhino horn syndicate in 1992. Thankfully the candle blew out in the throw and the glass smashed against the wall simply covered Petros in petrol. 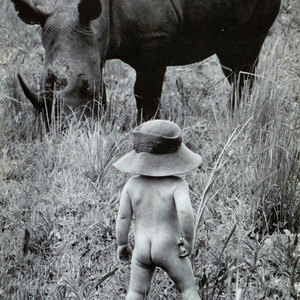 Ngomane lived to bring an end to the rhino war of 1988-1992. Petros Ngomane was awarded the 4th Rupert Foundation Gold Medal for outstanding service to Nature Conservation in southern Africa, commended by Dr Anton Rupert at the ceremony (August, 1990) with powerful words "Petros, it is people like you that give me hope for the future of the world." Ted Reilly's son, Mick Reilly grew up in the bush. From a very young age, there was no question of his passion and life journey. Ted Reilly's son, Mick Reilly grew up in the bush. From a very young age, there was no question of his passion and life journey. Mick spent every school holiday patrolling with the rangers, catching his first poacher at the age of 10 years. Mick lives, breathes and is conservation, working hours and situations many would deem near impossible, but it feeds his soul. 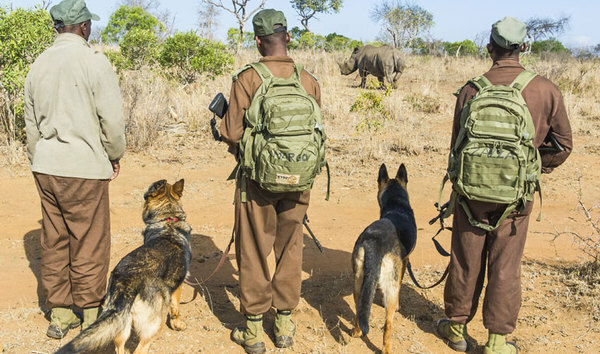 Mick leads his ranger force, and possibly the most effective anti-poaching team, from the front, with immaculate example, discipline and integrity. Our Head Rangers Robert Vilane, George Mbatha and Mbuso Shiba are men of valour and integrity, leading our Rangers with unfailing commitment and discipline despite the dangers of their positions. Along with brave men lost in the field, and those still protecting our wildlife, their contribution to Swazi conservation will go down in history. A special mention to incredible Rangers lost, some to poachers, is made. Japhane Magagula, Benjamin Manyisa, Richard Dlamini (Lonjwaleza), Patrick Mamba, Izaiah Cindzi, Macamuka Gamedze, Dumisa Mamba and Richard Gamedze gave their very best to Swaziland.